Running a successful business requires compliance with best practices. Sometimes, a company or business has to go through some tough times before bouncing back to its profitable state. 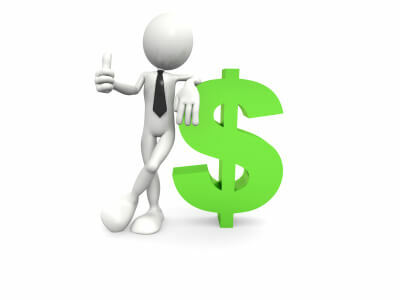 But to get back, an organization or business will certainly need the help of an investment banker. Investment bankers are often assigned the task of selling a company or raising enough money to get the business started again. Though you may try selling your company without any help from an investment banker, but it won’t guarantee you a safe return. That’s because almost everywhere in the business world, acquisitions and investments are carried out through bankers. They act as mediators between the buying or investing and the selling party. Usually, investment bankers are tasked with the responsibility of introducing your company to possible acquisitions and investments. The banker is also responsible for completing the deal between you and the management of the organization that’s about to invest in your business. When you’ve hired a banker to sell your business or find investments, he or she will guide you step by step through the entire process. At first, the banker will provide you with a PowerPoint presentation that he’s created. The banker will make every possible effort to hire the best personnel working in the presentation field to make sure that the acquisition or investing takes place without any problems. Investment bankers are also obligated towards turning what it is that your company does into something that’s worth investing. And after the presentation is complete, it would be presented to you and the rest of the management personnel before getting a final approval. Once all the personnel have agreed to the contents of the presentation, it will be presented in front of the potential investors and buyers. Another reason for hiring these guys is that they actually know who’s a good buyer or investor. Since they deal with these cases on a daily basis, they’re readily in contact with management seniors of other companies. An investment banker is responsible for the entire process from introducing you to investors to closing the deal. When it comes to the expenses of hiring a banker, the process is rather expensive but it does yield positive results if you’ve chosen the right banker. An investment banker will take six percent of the money you’ve raised on your company. Before hiring a banker, always make sure that you’re comfortable working with him or her because if you’re not, a lot of problems are going to crop up. You should be able to interact with the banker on a personal level. Also, avoid hiring thugs that randomly send your company offer to investors that they don’t even know or worse they don’t possess any contact details of that investor. Your dealings are bound to occur smoothly once you’re with the right banker.